The ultimatum on the table is Mulcair will only go to the debates Harper attends and the number of English and French debates will be equivalent. The deadline for final decisions is August 7. To put the ultimatum into perspective: Mulcair will only go to a debate where a particular candidate chose to go which basically means Mulcair will follow that particular candidate to the debate of that candidate’s choosing – not Mulcair’s. The control of Mulcair’s debate decision is in Harper’s hands, not Mulcair’s. 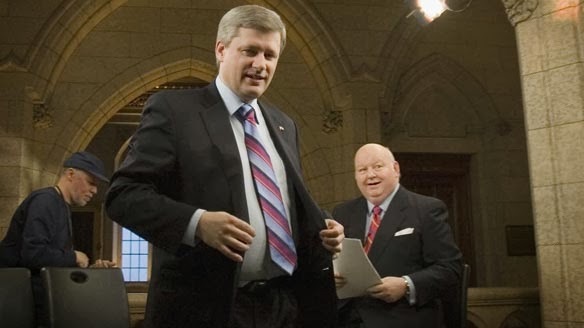 With numerous debates lined up, given Harper will only attend one French debate means Mulcair will only attend one English and one French debate of Harper’s choosing – given the NDP stick to their word. This not only shows a lack of willingness to debate, it shows a lack of leadership. The NDP has enjoyed a surge in the polls for the last few weeks, some of which suggesting they are poised to form a minority government. With 66% of Canadians polled looking for a change from a tired government with outdated policies, Mulcair benefitted from the NDP’s perception of being that change. Perception is one thing, actions are another. By following Harper, not only does it show Mulcair’s lack of leadership, it also shows he isn’t the candidate for change. A man who really wanted change would be able to make his own decisions on what debates to attend. You can argue Mulcair did choose: to only go to debates Harper is attending, but when did Mulcair choose what debates Harper would be attending? 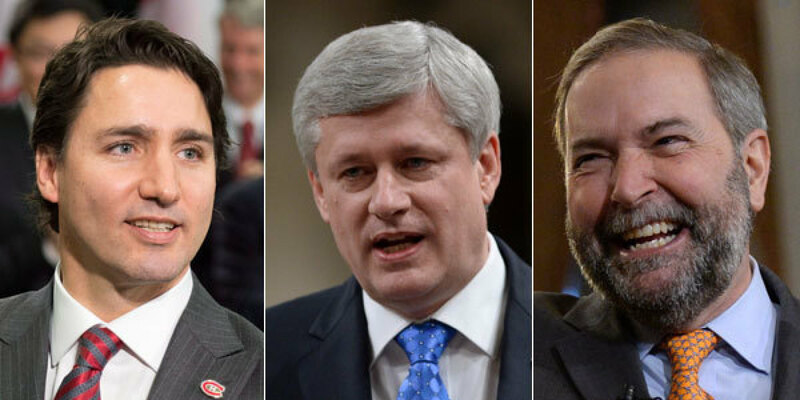 When did Harper even blink an eye at the idea that Mulcair would be his opponent? The answer to both questions: not once. A man who can bring change needs to be a leader. If Mulcair and the NDP really wanted change, they would be able to make their own decisions, would stop trying to frame democracy as a one-on-one match – which was their chief complaint in the Liberal-Conservative history, and more importantly, use his attendance at multiple debates as a strategic tactic to paint Harper as the coward he is and paint Mulcair’s leadership as the necessary guidance to achieve such change. 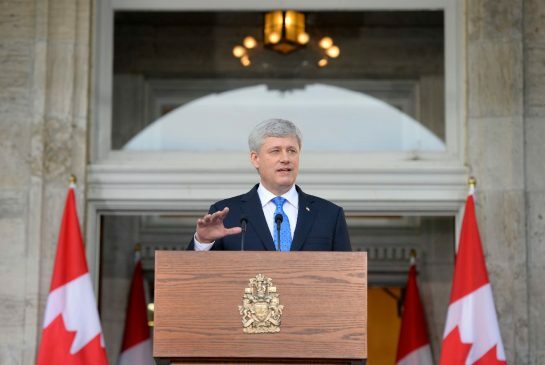 This move not only has no impact on the Harper campaign, it could potentially have a few positive ones. The move wasn’t crafted to attack Harper, it was actually crafted to attack Liberal Leader Justin Trudeau. Killing the traditional consortium debate takes away Trudeau’s opportunity to have a one-on-one with Mulcair in front of one of the largest audiences during the election. The Conservatives aren’t fools and they know well that this decision means Harper is Mulcair’s leader and on leadership, this action singlehandedly shows Harper won – even in it’s subtlety, it shows Harper is in charge, not Mulcair. This decision also says another thing about the NDP: In their upfront attempt to paint a one-on-one challenge with Harper as a leadership feat, they showed they are scared of Liberal leader Justin Trudeau and Green Party Leader Elizabeth May who both would have been at the traditional debate. But this decision may actually have a negative impact on the NDP: People looking for change don’t want a leader who follows Stephen Harper. This decision alone gives the Liberals ammo for their “real change” campaign. As it stands, Trudeau is poised to be at all the scheduled debates regardless of Harper’s attendance. The NDP also lost an opportunity: Debating an empty podium with Harper’s name on it in front of one of the largest audiences of the campaign which they could have used to frame Harper as a weak leader and proclaim he is afraid of the debate. So what drove this decision? It’s clear the decision would have no effect on the Conservatives other than a neutral or even positive one, given even in the debate to become Prime Minister, Harper is still the leader and Mulcair is still the follower. That speaks volumes on the type of Prime Minister Mulcair may or may not become. But then, you never know, with all the talk of alliances these days, who says Mulcair’s previous dealings with the Conservatives prior to joining the NDP were really over? The strategic move is not only bad strategy, it is bad politics for a man who wants to be Prime Minister on the agenda of “change.” You can change the wallpaper to any color you want, but as long as the same mentality sticks in the household, the same decisions will be made and the color on the wall means absolutely nothing. Is Thomas Mulcair such a weak leader that his best strategy is to follow Stephen Harper? 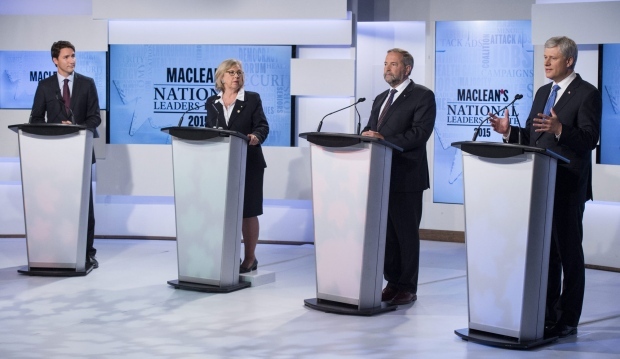 Is Mulcair, like Harper, trying to run scared from debates? The NDP’s ultimatum is to copy Harper’s strategy which shows Harper is in charge and ultimately shows Mulcair is not a leader. With an election just months away, Prime Minister Stephen Harper has decided to abandon the traditional all-broadcasters debate hosted by the nation’s major broadcasters and for the first time will be streamed on YouTube, Facebook and Twitter. The Liberals, NDP, Green Party and Bloc Quebecois have all agreed to participate but the Conservatives refuse to even negotiate.